In Logic Part 1 I wrote about the use of basic Aristotelian syllogisms and their fallacies. I am now going to talk about propositional hypothetical logic. Sounds scary, right? Don’t worry! 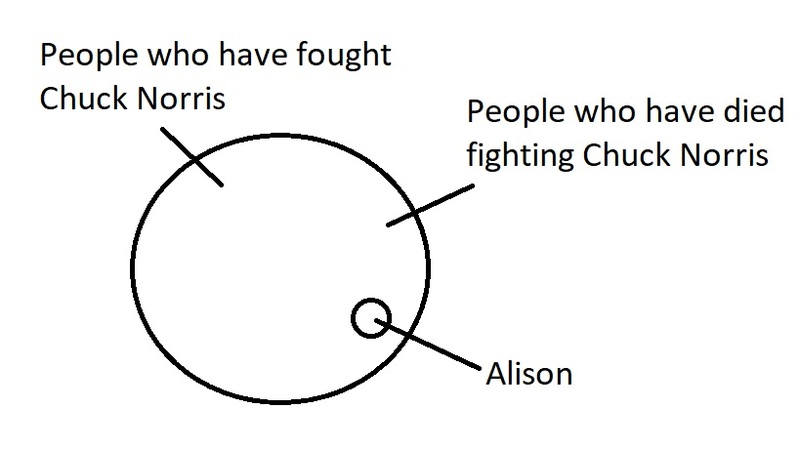 As with the basic syllogisms, it’s also pretty easy! There you have it! If P, then Q, easy-peasy! ‘If P, then Q’ is called a hypothetical proposition. 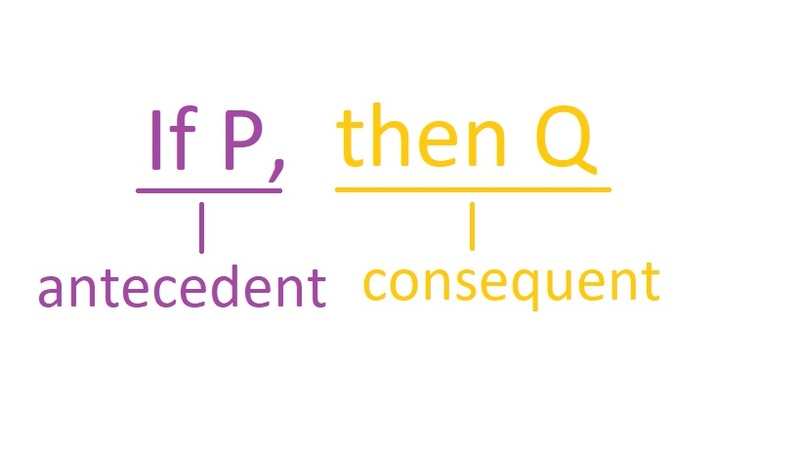 Now when you have a hypothetical proposition (If P, then Q) you have to know the correct terminology for the two parts. The first part (If P) is called the antecedent and the second (then Q) is called the consequent. There are two types of hypothetical syllogisms: modus ponens and modus tollens. We know that if P is true then Q would be true (becuase the minor premise is if P, then Q). From this, we can infer that if Q isn’t true it means that neither is P.
With modus tollens the minor premise denies Q which allows us to infer that P is not true. Modus ponens and modus tollens are the two true forms of hypothetical logic. As with the basic logical syllogisms the hypothetical syllogisms also have fallacies that provide false conclusions. In reality, John could have got arrested for a number of reasons (even if he didn’t punch a police officer). It is because of this that when you deny the antecedent in a hypothetical syllogism your conclusion is unsound (quick reminder: ‘unsound’ means that it is not necessarily true; John may or may not have punched a police officer). Whilst it is possible that Fred is an awesome person because he has a pet flamingo named George he could also be awesome for other reasons. 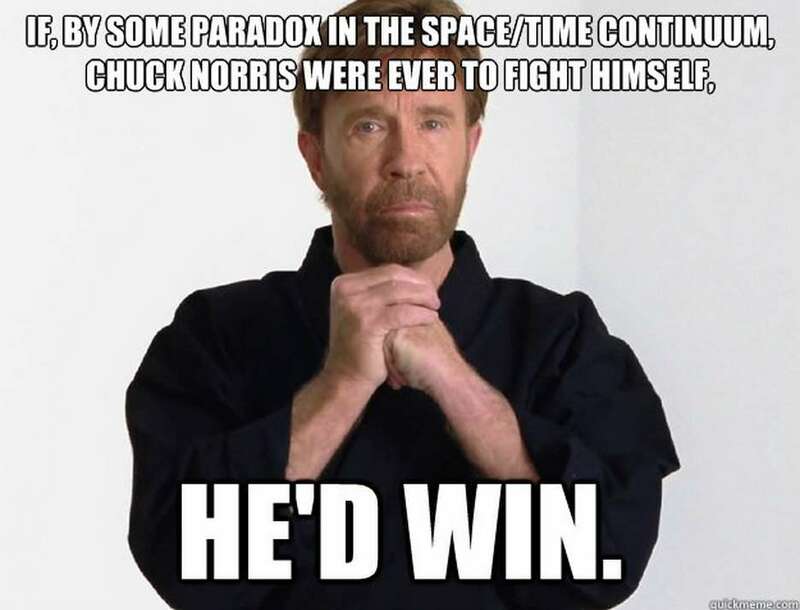 Perhaps he used to train with Chuck Norris? Whatever the case, we cannot soundly conclude that he has a pet flamingo named George. 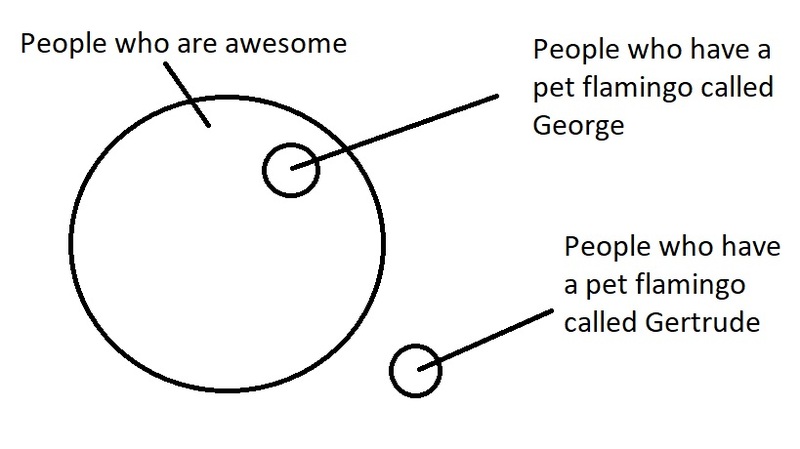 From the Venn diagram we can see that people who have a pet flamingo called Gertrude are never awesome people. We’ve now covered basic logical syllogisms, logical fallacies, enthymemes, hypothetical propositional logic and hypothetical fallacies. More to follow in Logic Part III.